How nice are these hoop earrings?! 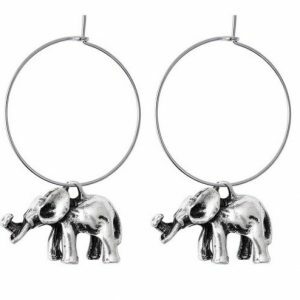 These hoop earrings have a pendant in the shape of an elephant. Do you have 2, 3, 4 or more ear holes? then wear it with other lovely earrings. Complete your look with silver jewelry. For example with a short necklace with an elephant charm or with a subtle ring with an elephant design. The perfect earrings for the animal lover! Do you have questions about these hoop earrings? please send us a message. How beautiful are these hoop earrings! 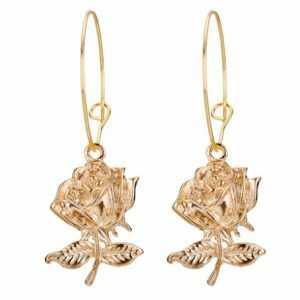 These beautiful golden hoop earrings have a pendant in the shape of a rose. Do you have 2, 3, 4 or more ear holes? 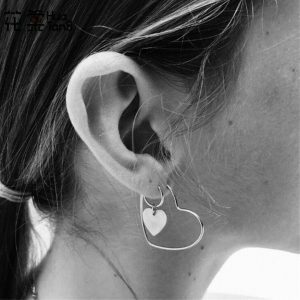 then wear it with other lovely earrings. Complete your look with gold jewelry. For example with a short necklace with a rose pendant. Or with a nice bracelet with a rose pendant. 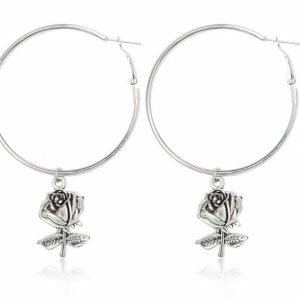 Do you have questions about these hoop earrings with rose pendant? please send us a message. 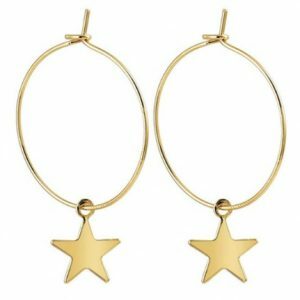 These hoop earrings have a star pendant. Do you have 2, 3 or more ear holes? Mix and match it with other lovely earrings for an ear party. Complete your look with other silver or gold jewelry. For example with a layered necklace with star and moon pendant. Or with a subtle ring or fine bracelet with star design. 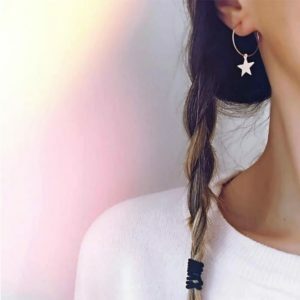 Do you have questions about these hoops earrings? Feel free to send us a message.